We are pleased to announce our executive Great Plains’ plane! It’s the missing link between the high quality safari experiences and camps that Great Plains Conservation operate, in Duba Plains and Selinda Reserve, and the international business class flights to the African gateway cities and onwards to Botswana’s main safari hub of Maun. 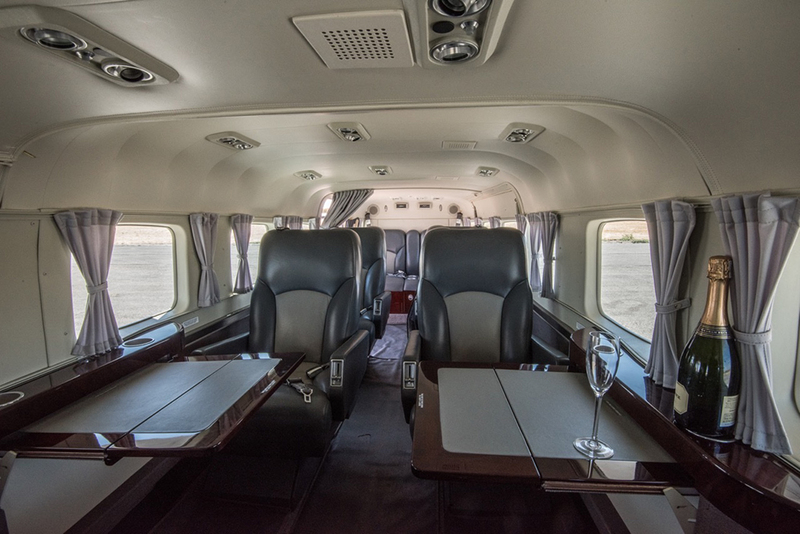 This reduced capacity, executive Cessna Grand Caravan has nine, leather, window-seats and is priced on a per person sector rate, which is the only similarity to other light aircraft flying in the Delta.